Prairie Moon Organization Challenge for this week. I have several of these that need organizing plus several desk tops that need finding. 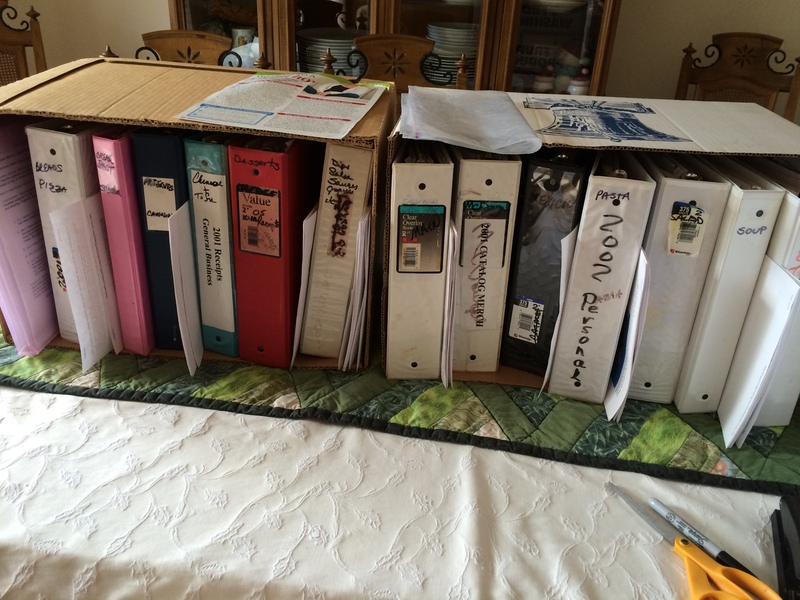 So I pulled my stack of recipes that I have printed to try (since 2005) and started putting them in categories. Most of them are now in these notebooks available by category so I can actually use them. Obviously some have been tried, because I have written on them “really like this one” This challenge has taken 2 weeks to complete. Great idea! Thx. for the link!